Update: Planning application now submitted, read more here. The Elizabeth Landmark took root in Viscount Devonport's imagination some twenty-five years ago. Inspired by the Wellington or Waterloo Monument, which stands on the summit of Penielheugh, part of the Lothian Estate in Jedburgh; The Elizabeth Landmark will celebrate the unity of The Commonwealth in an increasingly fractured world. The Elizabeth Landmark is a manifestation of Lord Devonport's personal admiration for Queen Elizabeth II as the longest-reigning British monarch and her anchoring of The Commonwealth around shared values of tolerance, respect and understanding. As part of the development process for The Elizabeth Landmark, Lord Devonport has commissioned three artists to create a proposal for the design and construction of the contemporary landmark. To build a 55m (180 feet) high monument at Cold Law, on the Ray Estate, Northumberland. The sculpture will celebrate the unity, heritage and diversity of The Commonwealth and pay respect to Queen Elizabeth II, the longest-reigning British monarch, who has led and guided the United Kingdom and The Commonwealth for 66 years. The purpose built path from the public road east of the A68 to The Elizabeth Landmark will feature work from poets and writers from around The Commonwealth and the landmark itself will be seen from the surrounding countryside, standing at 55m tall defining the height of the adjacent Cragg. 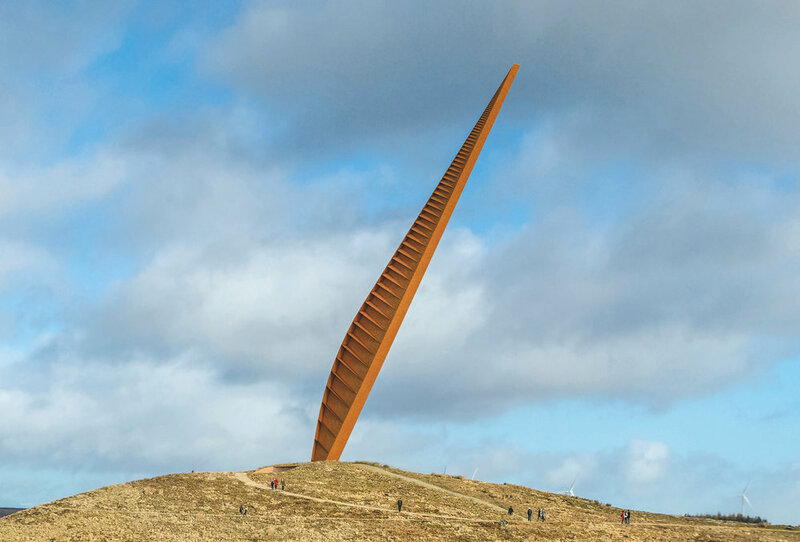 The artist chosen to develop the Elizabeth Landmark is Simon Hitchens, his proposal, entitled Ascendant, is made from Corten weathering steel, with a rock slot cut from the carboniferous sandstone bedrock at the landmark site. In February 2019 planning permission was requested, and it is hoped that by late spring 2019 more can be revealed about the project.